Your garden gate is often the first part of your property that visitors will see, and B&K Timber specialise in creating beautiful, bespoke garden gates from high quality, long lasting materials to give a great first impression to anyone visiting your property! Available in a range of styles and finishes, you’ll be sure to find a bespoke garden gate which matches your home and personal style perfectly, with no reason to worry about tatty timber or weather worn washers. The colder months can be especially tough on your garden gate, so why not treat your home to a long lasting bespoke garden gate designed to last! What Makes Our Bespoke Garden Gates So Special? At B&K Timber, we have over 30 years’ experience in creating beautiful and long lasting bespoke garden gates, available in 12 styles to suit your property, preferences, and budget. 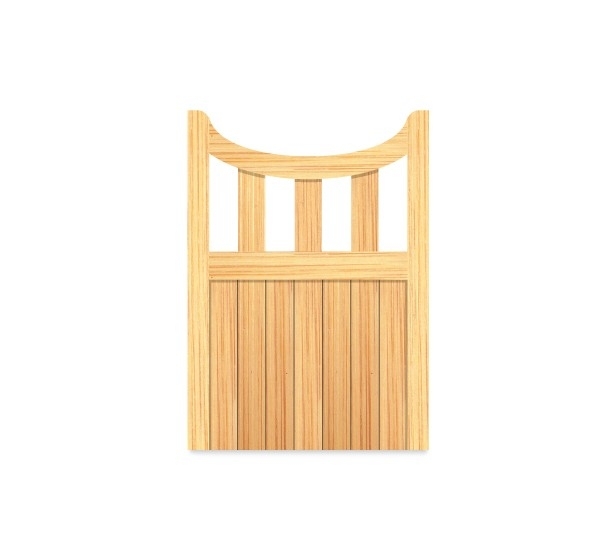 Our highly skilled craftsmen use top quality Scandinavian redwood timber which comes with PEFC and FSC certification to lovingly create your perfect bespoke garden gate, while being environmentally responsible. To ensure that your bespoke garden gate remains pristine, we offer a range of spirit based preservatives in brown, red cedar and clear which will protect your bespoke garden gate whatever the weather. Purchasing your perfect bespoke garden gate couldn’t be easier! Just select your style, fittings and finish with our online bespoke garden gate building tool, and we will deliver it to your door for free on the UK mainland! You can view our extensive range of bespoke garden gates and build your perfect gate here, or if you need to get in touch, our friendly and expert team are on hand to offer you expert advice and assistance. We offer bespoke garden gates in Stoke on Trent, the rest of Staffordshire as well as Cheshire, Manchester and Birmingham.